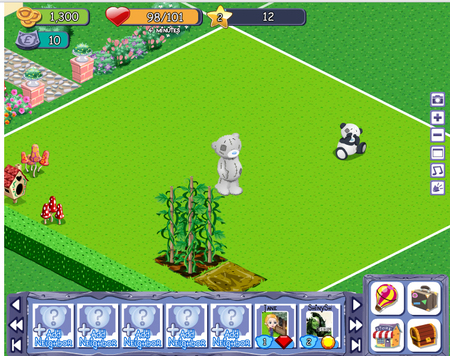 We wrote about cutesy social game Me to You My Place back in December and thought it was time we revisited it to see how it has done. Created by the gift card company behind the twee characters Tatty Puppy and the My Blue Nose Friends, you might have thought it strange that they so wholeheartedly embraced social media and everything that goes with it – their livelihood has for a long time been based around snail mail and not quick messages across the internet. But embraced it Carte Blanche Greetings did, and with much success. Since its launch in December the adventure game, its objective being to “find, nurture and love the Friends”, has had over 150,000 players on Facebook with the large online community interacting and sharing away within the game. The Facebook version of Me to You My Place has been so popular that it has now expanded it beyond Facebook to enable people of all ages can take part in a safe and educational environment (you still have ‘officially’ to be over 13 to join Facebook). The new hub, metoyoumyplace.com, launched this week and offers fans the chance to play the game for free or through a subscription based membership to unlock premium content. As part of the extension, Carte Blance is also introducing a new character, Tatty Puppy, to the Me to You family. 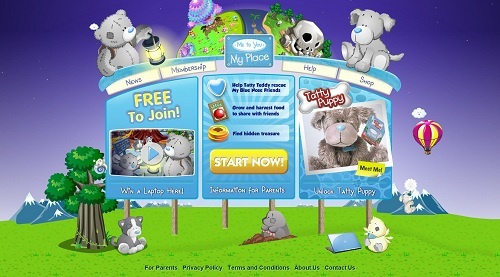 The pup is available to buy as a real-life soft toy with a code that lets its owners unlock the virtual Tatty Puppy in the game. “With the launch of metoyoumyplace.com Carte Blanche Greetings has successfully taken a 15 year old physical presence and made it even more digitally relevant, truly giving its dedicated following a space to claim for themselves and continue to enjoy the brand both offline and online,” says Jocasta Kelsey, Head of Marketing at Carte Blanche Greetings. With all the negativity around in the world these days, it has actually been quite enjoyable to spend some time digging for treasures and playing games with the tiny digital teddies. What do you think? I love these bears, I’ve been collecting them since they came out.